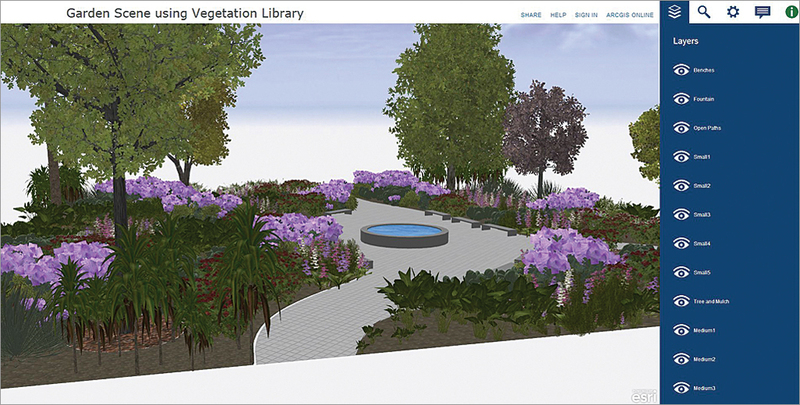 The Esri 3D Vegetation Library is an out-of-the-box toolset you can use to generate high-performance, realistic plant models for design projects ranging from small gardens to forests. The library contains 3D plant models from e-on software that are compatible with e-on's LumenRT Immersive Visualization solution. Esri CityEngine scenes and plants can be imported directly into LumenRT.